dance.net - To YOU! Dancer_Dreamer17 ! (487718) - Read article: Ballet, Jazz, Modern, Hip Hop, Tap, Irish, Disco, Twirling, Cheer: Photos, Chat, Games, Jobs, Events! Hey! My name is Lauren (dance_girl242) and I got you for that secret nutcracker thingy. I am 3 years old and I dance ballet, pointe, tap, jazz, and ukrainian. I also couldent live with out dance. 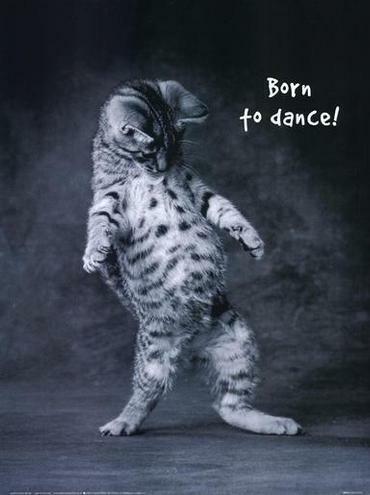 I read your profile here and it said you loves dance, so I gave you this poster that says "Born to Dance" and with the attitude I learnt from your profile its suites yu PERFECTILY! ~Of Leap, jump, twirl.... Get the Pointe???? Then DANCE!!!! ~Of course I have an ATTITUDE, I'm a dancer! ~Support the arts. Hug a dancer! ~"Dance to Live or Live to Dance?" ...that modern dancer Martha Graham created almost 200 dances in her Lifetime and continued to perform until she was in her 70's? Well that is my present to you! I really hope you enjoy it! 1 Replies to To YOU! Dancer Dreamer17 ! re: To YOU! Dancer_Dreamer17 !